If you are a heavy smoker or drinker and have been diagnosed with high blood pressure, chances are you’ve already been lectured on the dangers you face if you continue to indulge in these behaviors. The problem is, abstinence from these things has become moralized, and morality leaves no room for a middle ground. The fact is, to reduce your indulgence in these habits even by a little would be beneficial. If quitting altogether seems daunting, take this into consideration. You can reduce the frequency of your habits over time, and work toward a complete separation from you and your addictions at your own pace. Changes in diet will be necessary, but you would be amazed at what you can add to your diet to reduce your blood pressure. There is evidence to suggest that garlichas the power to reduce high blood pressure, as well as the herb hawthorn, fish oil, folic acid, calcium, magnesium, and potassium. You will have to make certain sacrifices, but do not create more stress by treating these suggestions as things that must be incorporated immediately. Remember, stress raises blood pressure too! Instead, remember that it took a lifetime to create conditions out of which your high blood pressure emerged, and that to effectively create new conditions in which a healthier blood pressure can reappear will take a good deal of perseverance over time as well. The most dreaded remedy for most is exercise. 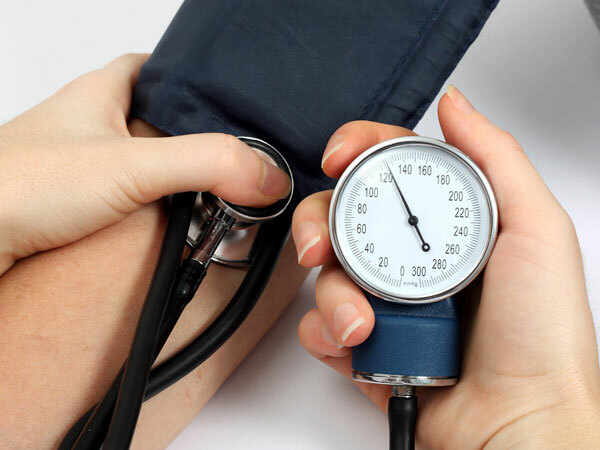 What many people don’t realize, however, is that the introduction of strenuous exercise into a life of a person with high blood pressure is incredibly dangerous. If you have yet to realize, the theme here is increased health over time, and the important thing is not that you reform every facet of your life today, tomorrow, or even this week or month. The important thing is that you set your sights on the kind of life you want when you are 80 years old, and work toward that fitness level now. So, begin taking walks in the afternoon. Go golfing without the golf cart. Play with the kids more often. Join an intramural sport. Whatever it is that pops into your mind first without eliciting a response of dread from you is where you should start. Do these activities whenever you can. Eventually, you will find more time for exercise so long as you have not overburdened yourself. You will create more ways to eat better and/or less. Overburdening is the enemy because it disincentivizes good health. When you start feeling the effects of an increase in health, you will be surprised by its motivational force. You will naturally want to pursue an even greater health level, because it feels better than any cigarette, drink, or slice of pie ever can.